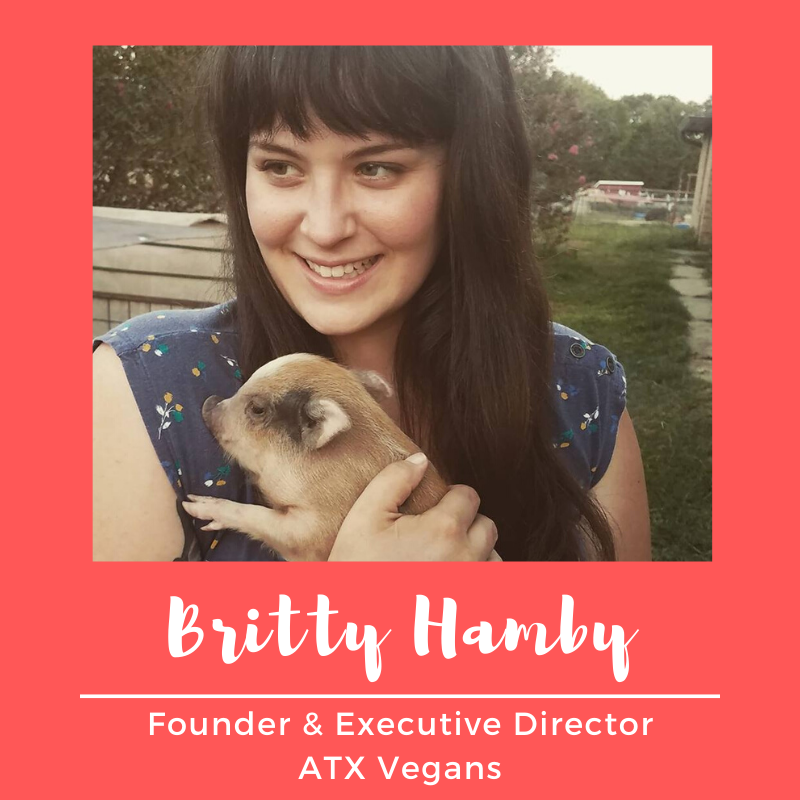 Britty Hamby, a vegan since 2001, paused her career in Supply Chain in 2016 to co-found ATX Vegans with the hopes of improving the food culture in Central Texas. 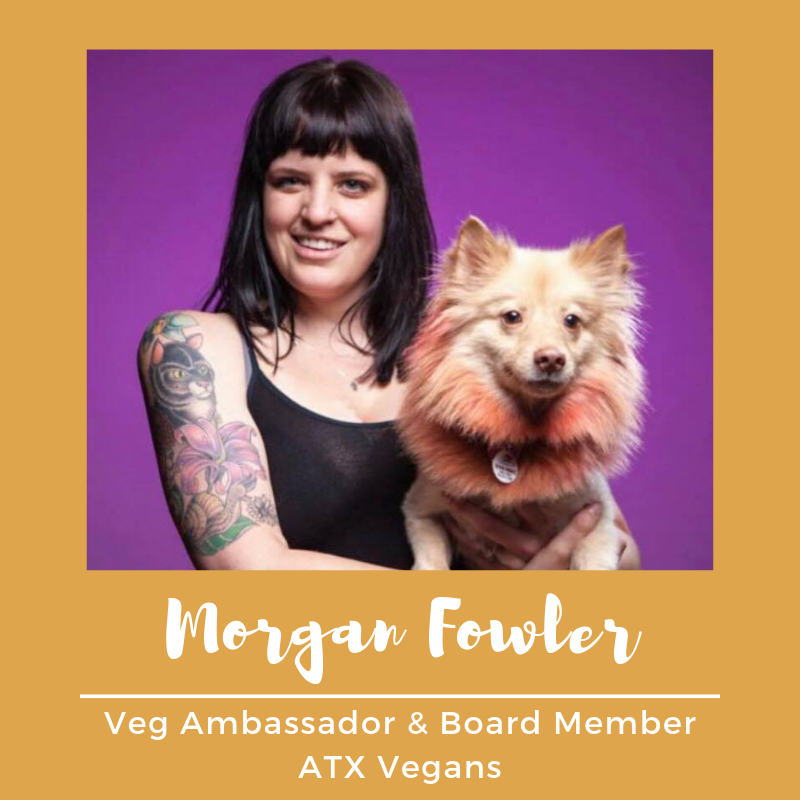 She believes that everyone has the capacity to recognize the suffering of others and that veganism is one important way we can express compassion for those we care about. In 2018, she officially launched Planted, an event organization that works with food businesses around the country to host one-time or ongoing vegan events, and officially veganized 3 restaurants in 3 months. On days off, she spends time with family and friends, playing in the kitchen, climbing at Austin Bouldering Project and watching movies at home with her dog, Daryl. Safiyyah Bazemore is a passionate animal lover, writer, and herbalist, among other things. She went vegan in 2015 after many years as a vegetarian and has since inspired several friends and family members to follow suit. Working for a community garden out of college, she found purpose addressing food injustice in an underserved neighborhood. Through the promotion of plant-based recipes, educational outreach, and witty social media management, Safiyyah increased visits to the garden and encouraged many a lifestyle change. Passionate about community-building, Safiyyah wants to make veganism as fun and accessible as possible for all people. She loves quality time with her cat, Genevieve, playing emo songs on the ukulele, eating breakfast foods, and riding her bike around Austin. Emily Martinez attended the University of Arkansas at Little Rock where she earned a B.A. in English, a B.A. in Spanish, and later an M.A. in Second Language Acquisition & Pedagogy. Having grown up in a vegetarian household, Emily went vegan in 2011 when her partner suggested making the switch together. She worked as a Spanish teacher in Little Rock before making the move to Austin in fall 2014. She now lives in south Austin with her husband, a dog named Wally, two cats named Tempeh and Colbert, and works as the Director of Academic Success for Boys & Girls Clubs of the Austin Area. 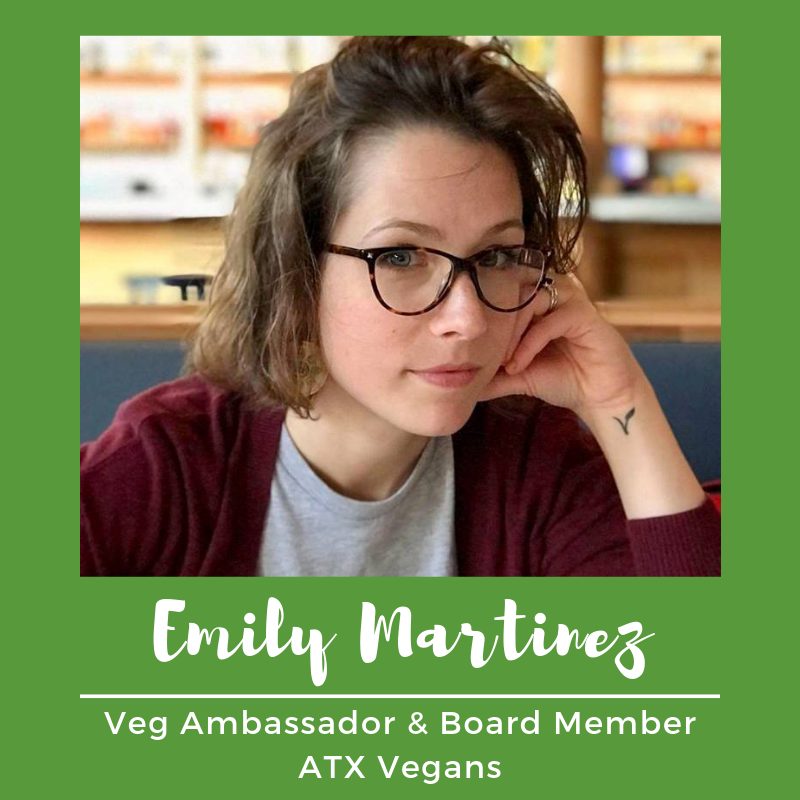 Emily enjoys running, watching movies, and attending all of the vegan events Austin has to offer.